There’s been a series of articles going around the Internet lately about a group of British tourists in New Zealand whose behavior was so impressively bad, they had their visas revoked and were asked to leave the country. Among the things they did include stealing various things (including a Christmas tree), dining and dashing, scamming restaurants, being hostile to the local people, and an absurd amount of littering on a beach. While this may seem rather amusing from an outsider’s perspective, as this seems like sitcom material, we must realize just how bad of an impact tourists like these have, both on their home countries and the countries that receive them. It’s rare for bad tourist behavior to make national news, especially when it’s in a country as far away as New Zealand, but there is a more persistent problem. As unfair as it may seem, if you travel in a foreign country, you are representing your homeland. So when an incident like this happens, it leaves a bad impression on the tourists’ country. Remember Logan Paul and the Aokigahara video? That was really bad. And now, it seems, there is a growing stereotype about Chinese tourists being bad. A quick Google search of “Chinese tourists” brings results of all sorts of bad things, including but not limited to: killing endangered animals in Africa, doing a Nazi salute at the Reichstag, interfering with the guards at the Tower of London, disrespecting monuments in Cambodia and Washington DC, causing trouble with authorities in Sweden, the Philippines, South Korea, and other places, and a sign outside the Louvre in Mandarin only that says not to poop on the ground. These actions have led to a stereotype of people from a country with 1.4 billion people of being obnoxious and ignorant, which is completely unfair to the rest of the Chinese people. It’s gotten to the point in which the Chinese government is trying to get people to behave better abroad. 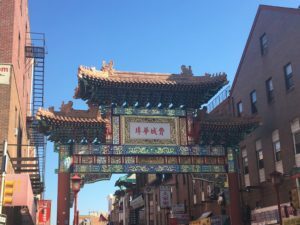 In my own experience, the only encounters with Chinese-speaking tourists, whether that be here in Philly or in other places (namely New York) have been mostly positive ones, as they were respectful and tried their best to speak in English, which is appreciated. There are a few lessons to be learned from all this. The first is to always be respectful of the people, cultures, and places of your destination, especially when traveling abroad. First impressions matter, and positive ones have a more substantial impact on their impressions of you. Perhaps more importantly is to not do anything criminal, given what happened in New Zealand. The second, is to do the same to visitors in your home, especially international ones. Meeting new people from foreign countries can be an interesting experience, and it helps to make them feel welcome. The third, final, and perhaps most important lesson to be learned, is to not judge tourists or visitors based on stereotypes that are held about them. Stereotypes do exist for a reason, but it is unjust and unfair to judge people based on them.